You can check out more of her amazing work with tons of sample tracks at http://www.ellenmandel.com/music.html. This is truly music for poetry lovers. Go, now, and get yourself a copy. You can thank me later. All of the poetry is captured in an anthology titled The World Record, published by Bloodaxe Books with Southbank Centre.You can listen to a number of podcasts of the event here: ticketing.southbankcentre.co.uk/poetry-parnassus/podcasts, and if you click on the poet link, you can also read interviews and profiles of each of the poets, sorted by country. There are so many famous New York poets, that choosing was difficult, but because I'm here, and feeling an excess of nostalgia, today I'm going to feature a poet who was active when I lived in NY - in fact I saw her way back then at the St Mark's Church's annual New Year's Day Marathon Reading (an event that, amazingly, is still happening). Anne Waldman is the author of over 40 collections of poetry (or books on poetry), and, and this is true for many poets, has given a lot to the poetry community, championing the cause of poetry through her many free readings, her involvement with the St. Mark’s Church Poetry Project for over a decade, the founding of the Jack Kerouac School of Disembodied Poetics at the Naropa Institute in Boulder, Colorado, work as a teacher, editor, cultural/political activist, and above all, performer. I have to admit that it took me a while to take to Waldman's work and I still find much of it a little unsubtle and prosaic for my tastes, but when you see her perform the work, like a good song (and she sometimes sings), the work becomes transformed into high drama, the nuance added by vocals, gestures, verbal props, and body language into a complete piece. The following poem was chosen partly for it's utter New Yorkness (if I weren't actually in New York at this very moment, I'd be homesick for it from readng this poem). Of course O'Hara is one of the key members of what came to be known as the New York school of poetry and Waldman infuses the poem with nostalgia for "the city", and for something/one, no longer alive in the corporal sense. Like a missing relative, a missing city, desire mingling with an attempt at transcendence. Was my spirit faltering, grown duller? To make the energies dance etc. impending earthquake. Was that it? “What? Not done complaining yet? have you never neared the Pacific? is so much more important than this? it's sad & dead?” “But that's just it! much as you do these days. These years. the talk. You know, it was the life! 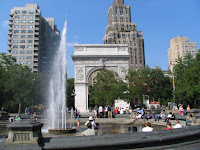 Though it has been some 28 years since I've lived in NYC, and I've probably spent more time living in other places - I grew up mostly on Long Island rather than in the city centre, and have been in the UK and Australia for several decades, I'm afraid I'll always think of myself as a New Yorker. NY populates my dreams, forms a kind of underlying sense of identity for me, and was a key setting of my first novel Sleep Before Evening , and it's always so strange for me to return as a tourist. 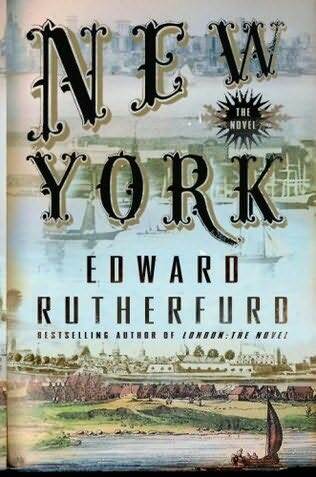 Speaking of novels, I've just finished reading rutherfurd's New York and enjoyed it very much. I was surprised (though probably shouldn't have been) at how much of the history of my own home town and the country I grew up in that I didn't know. This last leg of my trip is going to be the most full - I'm trying to set a world record for how much I can pack into 4 days. However, if you're plannng to be at the Strand this week, drop me a line. Super prolific New Jersey author Joyce Carol Oates has published over 50 novels, young adult fiction, novellas, essays, and over 10 volumes of poetry to name just a few of the genres that she has worked in. She has lived in Princeton, which I'm visiting today, since 1978, and is a professor in the Humanities with the Program in Creative Writing. Though she's better known for her novels (isn't that always the way), it's her poetry I'd like to feature today. The following poem comes from Anonymous Sins & Other Poems, published by Louisiana State University Press in 1969. This poem is a very powerful one for me, partly because it fits perfectly into the novel I'm currently working on, as my protagonist is a professor, and the chapter I'm at has her writing on the blackboard with a room full of motes. This is not an easy poem, but it's full of light and dark, the learning process, the human condition, the nature of life. . The US tour is moving north. Today I'm in Somerville, NJ, a Dutch settled town built at a crossroads shortly after the American Revolution. Nowadays Somerville still has its historical buildings and its past seems close at hand, though the city has modern amenities, good shops, and proximity to Princeton University that make this a cosmopolitan and charming place. New Jersey is no slouch when it comes to authors. The roster of Jersey writers includes Junot Díaz, Philip Roth, Allen Ginsberg, and Amiri Baraka, to name just a few. It's also home to the Dodge Poetry Festival, the largest poetry event in North America, and though the 2012 event doesn't happen until October, I've been watching the roster grow with interest. As for me, I've heard a rumour that I might be doing a spot of Kayaking. Poetry Monday: Rita Dove "American Smooth"
Rita Dove is one of many reasons why Charlottesville is considered America's smartest city. Dove currently holds the chair of Commonwealth Professor of English at the University of Virginia and was named US Poet Laureate in 1993, the youngest poet ever elected to the position. She was also the first African American to hold the title. Doved served as the Poet Laureate of Virginia from 2004–2006. She has had published 9 poetry collections, a book of essays, a novel, a short story collection, a verse play, has edited at least two poetry collections, and is a ballroom dancer. 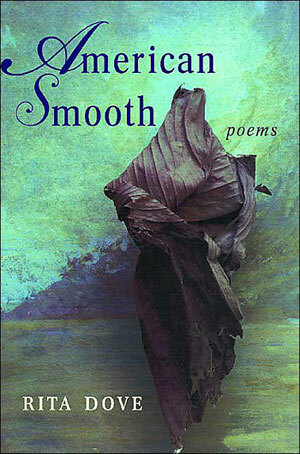 The latter talent is featured in her poem "American Smooth", the title poem from her 2004 collection published by Norton. Here is Rita performing the poem, followed by the full text. On its simplest level, the poem is a beautiful depiction of the pleasure and power of dance, but it goes deeper still, into the heart of artistic creation, the power of a moment, on ephiphany and on the ephemeral nature of human achievement.